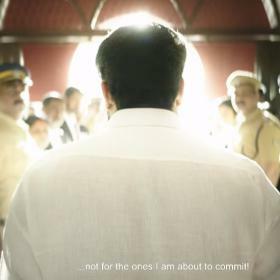 [description] => While he was talking about his show and shooting schedule in London, what came as a surprise was actor Mohanlal, who managed to photobomb the video in a quirky way. [articleBody] => Comedian-turned-actor Tini Tom, who is currently in London came on a live video on his social networking page. 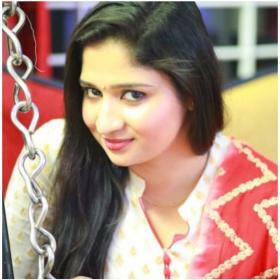 Tini Tom recently took a break from the show Comedy Utsavam, who was one of the judges there. In his LIVE video, he talks about getting back on the show after wrapping up the shooting of the film starring Mohanlal. 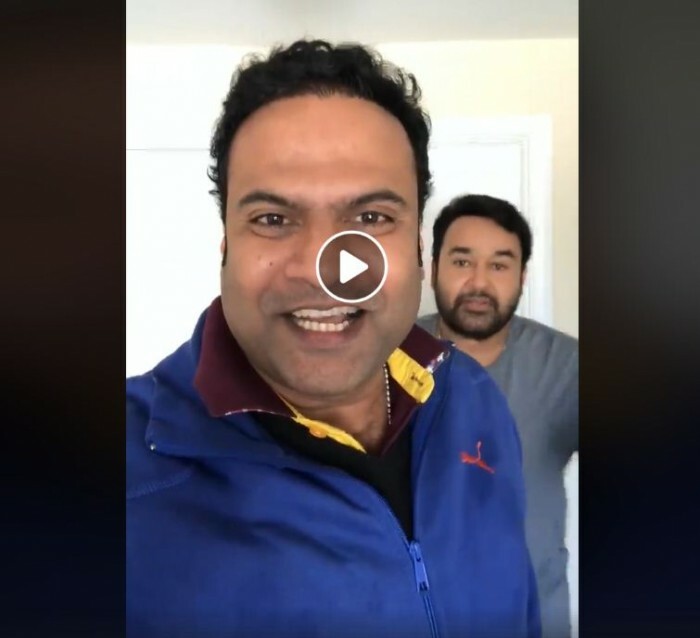 While he was talking about his show and shooting schedule in London, what came as a surprise was actor Mohanlal, who managed to photobomb the video in a quirky way. The most popular and powerful actor of Malayalam Cinema, Mohanlal recently celebrated his 58th birthday in London. The actor received a lot of birthday wishes from fans on social media. However, this time the actor decided to celebrate his birthday with his family. Mohanlal ringed his birthday with his wife Suchitra in London. Mohanlal was in London for Ranjith's new film. On the work front, Mohanlal has teamed up with director Ranjith. The two are working together for a movie after three years. This director-actor duo has produced many commercially successful movies over the years. Mohanlal has reportedly blocked forty-five days for this upcoming Ranjith project. 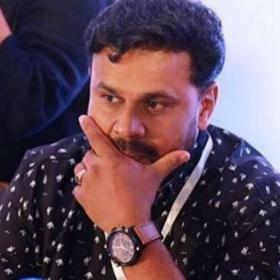 The yet to be titled movie will also star Siddique, Kaniha, Komal Sharma, Arundhathi Nag, Niranja, Baiju Suresh Krishna. 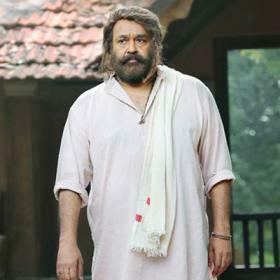 Besides, Mohanlal will also be seen in his next film Odiyan. Odiyan will mark the directorial debut of ad-filmmaker VA Shrikumar Menon. The shooting of the film was wrapped up recently. 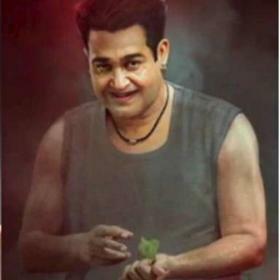 The big-budget film revolves around the last surviving member of the Odiyan tribal community, that once lived in the Palakkad-Malabar region. While he was talking about his show and shooting schedule in London, what came as a surprise was actor Mohanlal, who managed to photobomb the video in a quirky way. Comedian-turned-actor Tini Tom, who is currently in London came on a live video on his social networking page. Tini Tom recently took a break from the show Comedy Utsavam, who was one of the judges there. In his LIVE video, he talks about getting back on the show after wrapping up the shooting of the film starring Mohanlal. While he was talking about his show and shooting schedule in London, what came as a surprise was actor Mohanlal, who managed to photobomb the video in a quirky way. The most popular and powerful actor of Malayalam Cinema, Mohanlal recently celebrated his 58th birthday in London. The actor received a lot of birthday wishes from fans on social media. However, this time the actor decided to celebrate his birthday with his family. Mohanlal ringed his birthday with his wife Suchitra in London. Mohanlal was in London for Ranjith’s new film.